It's the golden rule of endurance racing: spend as little time in the pits as possible. 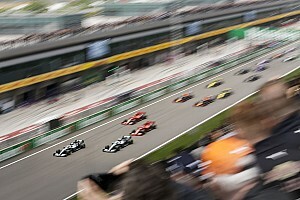 A driver can pound around chasing tenths of a second to set a perfect lap, but if they get it wrong and damage the car, sitting stationary in the garage undoes any potential gains. It seems odd, then, that within motorsport driver conditioning is arguably the most neglected area of research. Manufacturers painstakingly develop their cars, but that is to embark on a path of diminishing returns if the driver climbs aboard for their third stint and is too tired to perform at their best. The much less expensive route is to focus on the person behind the wheel and ensure they can operate at their peak for much longer - make them consistently faster and less error prone. It's a low-hanging fruit within racing that is yet to be picked. That's why the former senior performance coach at world-renowned Hintsa Performance, Dean Fouache, had his interests piqued by the temperature regulating properties of Walero racewear. 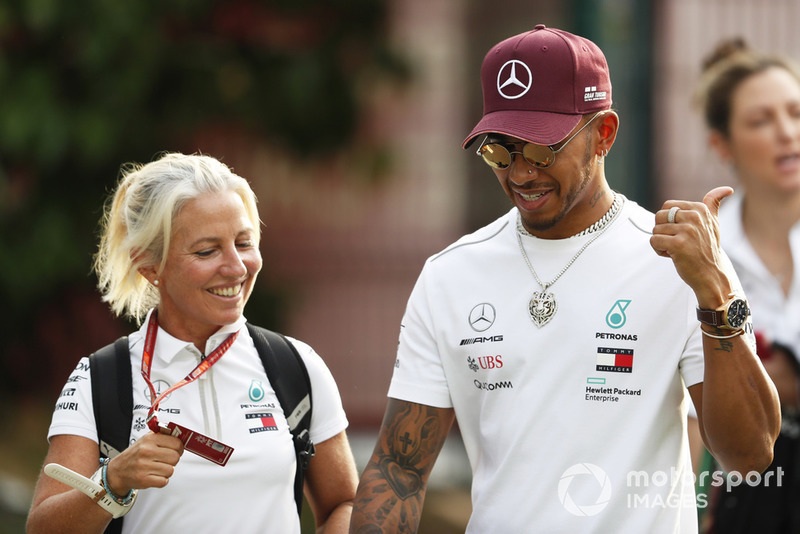 For three and a half years Fouache specialised in human performance coaching at Hintsa, which has a client list including Lewis Hamilton, Sebastian Vettel and Daniel Ricciardo. Hintsa works to optimise drivers by focusing on physiological and psychological training as well as their nutrition, sleep and recovery. Crucially, it ensures that all areas are balanced - building neck muscles to handle the g-forces of a single-seater or GT car means nothing if the driver is mentally fatigued. During his time at Hintsa, Fouache was contracted to join World Endurance Championship and Blancpain GT team Strakka Racing as its head of human performance. His role was to introduce the Hintsa philosophy and, in turn, boost results. 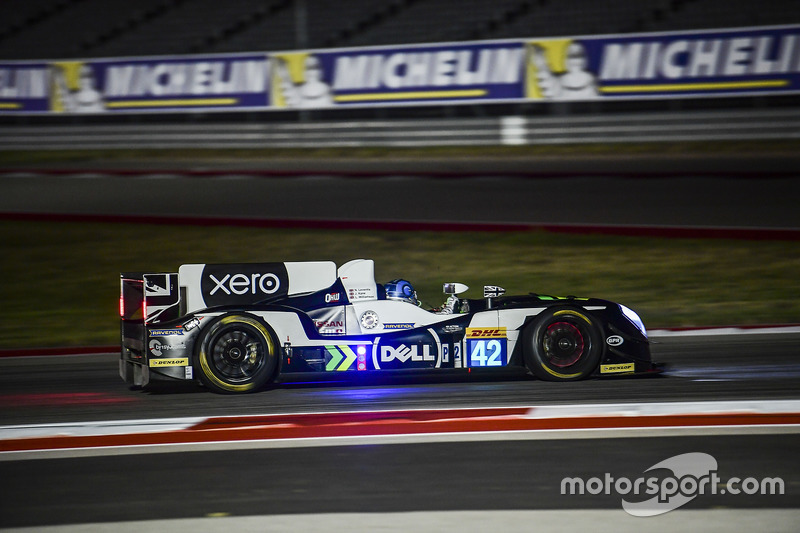 In Fouache's first season with the team in 2016, Strakka competed in WEC's LMP2 class with a Gibson 015S in the six-hour race at Austin. 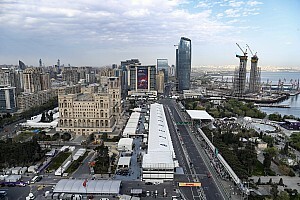 The hot conditions in the build-up to the race prompted Fouache to measure the weight of drivers Nick Leventis, Lewis Williamson and Jonny Kane before and after their stints. Over the course of an hour, in one driver Fouache recorded a staggering drop of 3.3kg due to fluid loss - equivalent to 5% of their overall body weight. "It was safe to say I had underestimated the strain racing puts on the body in such extreme conditions," Fouache recalls. "From that day on, I had a real interest in thermoregulation [how the body regulates its temperature]." Amplify that over the course of the 24 hours of Le Mans or Spa, during which drivers complete multiple stints, and the risks of them suffering from heat exhaustion or, more seriously, heat stroke become clear. The next season, Fouache began monitoring hydration levels, body temperature and sweat rate either side of the drivers' stints and tailored the rehydration process to their individual sweat rates and concentrations. Similarly, he introduced ambient temperature recovery pools and ice slushies so drivers could lower their body temperature and recover faster. 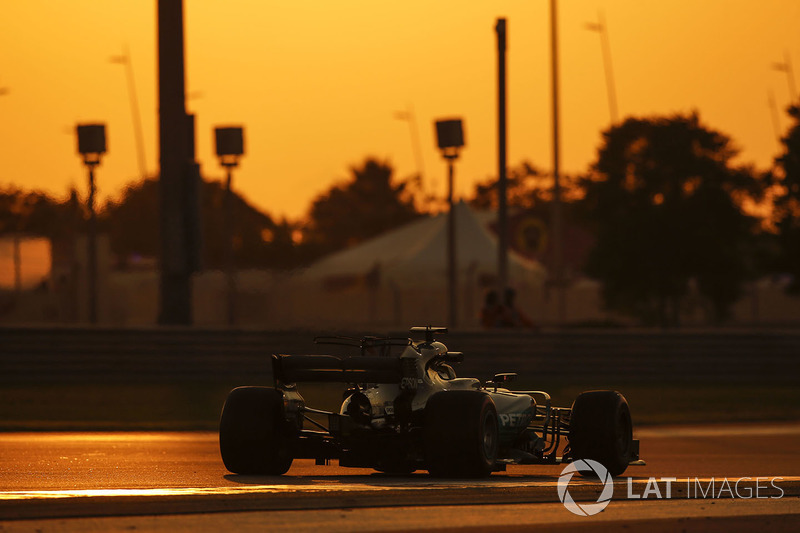 "We also looked at pre-cooling the drivers to 36C using cooling vests before they entered the car, with the aim being to give the driver a greater amount of time before performance dropped off due to the exposure to heat," says Fouache. "It's an area that is vital to look at to be able to optimise driver performance, especially in endurance racing like WEC and Blancpain GT." 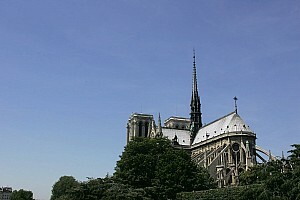 Fouache became aware of Walero in January 2018. Created by club racer Fiona James in 2015, it uses NASA-developed Outlast© technology that was originally intended for astronauts working in extremes of temperature. To keep them comfortable at both ends of the spectrum, it employs phase-change materials (PCM). These are substances that absorb and release thermal energy, making them ideal for applications that require temperature control. In a race car, the body's main method of cooling through the evaporation of sweat is massively hindered by the driver's overalls and seat. Walero absorbs and stores the heat via the PCMs, then releases it back when necessary. This keeps the skin dry and actively regulates body temperature, which in turn helps the body better regulate itself. That's the theory, but Fouache wanted to put Walero to the test in a controlled comparison study against a standard Nomex base layer. 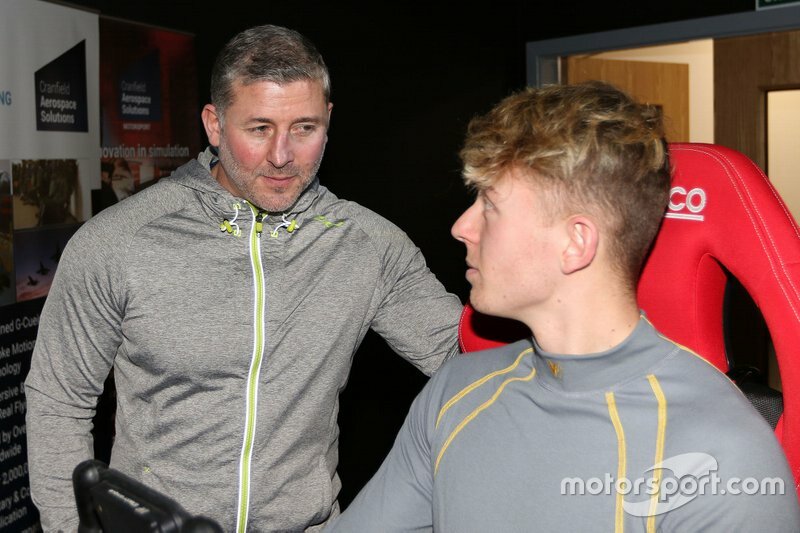 Step up reigning British GT4 champion Jack Mitchell. 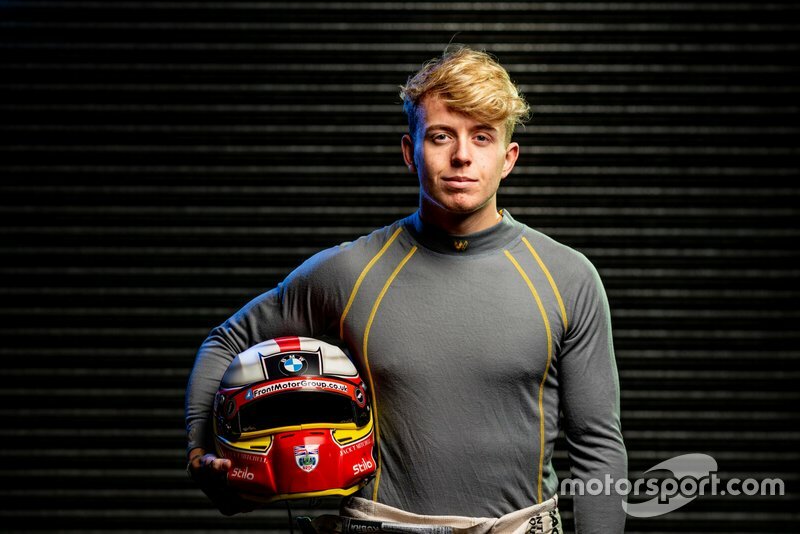 Signed to race a BMW M6 GT3 in the British GT Championship in 2019, and a two-time Dubai 24 Hours starter, the 20-year old is well used to conditions in a hot cockpit. Using the four-post motion platform at Cranfield Simulation, Mitchell was tasked with driving a Ginetta G55 GT4 around Donington Park's Grand Prix configuration for an hour. On day one he would wear standard race underwear, and Walero on day two. 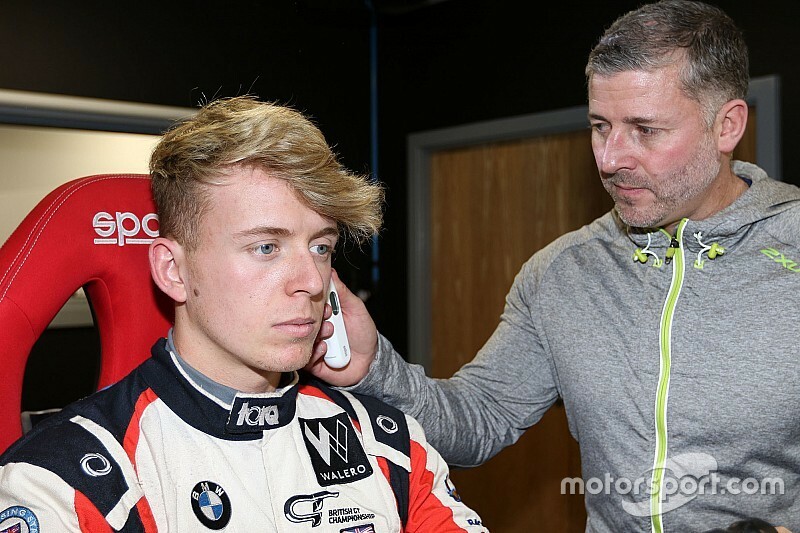 Mitchell won three times in the Ginetta GT4 Supercup in 2017, so familiarity with the car and environment prevented any potential spikes in his heart rate should he misjudge a braking point. What's more, Will Tregurtha, runner-up in the European GT4 Series last season in a G55 GT4, set up the pitch, roll and heave-capable simulator, so Mitchell is quick to praise its realism. Before the test Mitchell's starting body temperature on both days is measured at 36.9C, and the simulator room is kept at a controlled 32C - the upper limit for the cockpit as mandated by the WEC. Wearing the standard overalls, on the first day his temperature rises swiftly to 37.6C over the first 10 minutes, and keeps climbing to 38.4C at the end of the hour. 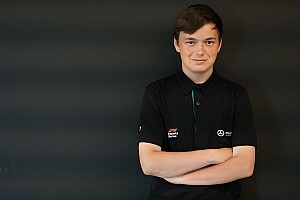 Despite the rise, he's comfortably able to beat the simulator's benchmark time at Donington of 1m33.4s. On the second day, now equipped with Walero gear, the changes to Mitchell's body temperature are far slower. After the first 10 minutes, he remains at his starting 36.9C. Come the chequered flag, he's not only beaten his previous day's session best of 1m31.382s by two tenths, but his body temperature is 37.5C, a rise of only 0.6C compared to the 1.5 he recorded in the standard Nomex. What's more, his average heart rate is down by eight beats per minute and he's lost 0.3kg in body weight, compared to half a kilo in the Nomex. Granted, in the open simulator room, Mitchell isn't exposed to the heat from the engine or the close confines of a cockpit as he would be in an actual race car, but the results are far better than Fouache expects. "Of the three variables that we measured, all of them have come out very impressively actually," Fouache says. "The 0.9 of a difference between the two is huge when it comes to thermal regulation. Also, what's really interesting is Jack sweated around 40% less in the Walero underwear and his average heart rate was eight beats less over the course of the hour. So, all in all, relatively conclusive results - even though it is a small comparison test. "If Jack elevates in temperature more slowly in the Walero than he does in the Nomex, it means his cognitive functions are going to stay sharper for longer. So, if he's making better decisions while driving, the likelihood of him making mistakes or coming off the track just decreases. As a by-product, hopefully his average lap time becomes more stable." Mitchell adds: "Using the other products, I was more consciously aware of how hot my body was. With Walero, I could feel my body and the fireproof itself actually cooler. "It was definitely easier to be in the rhythm in the Walero because it's one less thing on your mind as you're not worrying about the temperature. I think part of that is why I went quicker at the end of my stint as well." 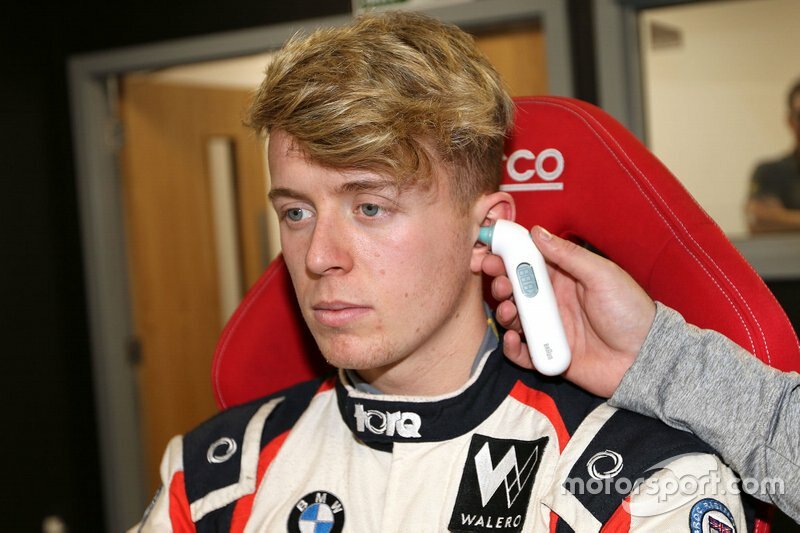 Although Walero's brand ambassadors include British Touring Car Championship drivers Tom Ingram and Aidan Moffat, the company's focus of late has been largely on endurance racing. 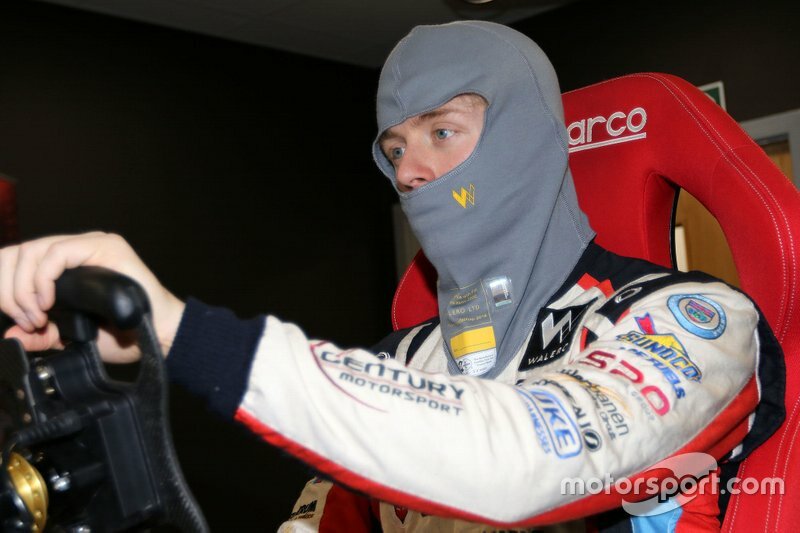 But after 20 minutes in the sim, equivalent to a BTCC race, Mitchell's body temperature had increased by a whole degree in the standard Nomex, compared to just 0.2 in Walero. Potentially, it could have a broader application than first thought, especially given how the test results exceeded all expectations. Not only did the underwear prove its mettle but, because driver conditioning is so under-researched, it could be the beginning of a rapid change in focus across the entire motorsport spectrum. Develop a good overall level of fitness and strength. Incorporate some longer, slow duration training - such as bike rides and easy runs - with some high-intensity sprints to improve aerobic and anaerobic capabilities and add in some structured resistance to make yourself stronger from top to bottom. Give extra attention to building trunk and neck strength. Being the fittest driver might not win you the race, but being the least fit can certainly make you lose. It's very easy to become dehydrated while practising, qualifying and racing, especially in closed-cockpit endurance racing. If you feel thirsty then you might already be getting dehydrated. If your urine colour darkens over time it's also a good indicator that you need to start rehydrating. While training and in the lead-up to a race, drivers have to be careful of keeping body fat to a minimum but also keeping energy levels high. You should eat a well-balanced, highly nutritious diet but also eat enough to be feeling satisfied. Most meals should comprise lean proteins (chicken and fish), carbohydrates (rice, sweet potatoes or pasta) and plenty of vegetables. It's all too common to see teams and drivers snack on chocolate, biscuits and crisps, which are low in nutrients and fuel the body ineffectively. Use cool vests, umbrellas for shade and cold drinks to stay cool while on the grid. Standing in the sun with your race suit on will only accelerate your body temperature rising. Race meetings can involve long days requiring lots of concentration. Briefings, meetings with engineers and press engagements all take up mental energy. So, if possible, find some time to read a book, have a chat and a laugh with drivers or crew or go for a walk. When it's time to concentrate again, there will be plenty of mental energy in the bank. This feature first appeared in the oval racing special issue of the Autosport Performance supplement, which includes an agony aunt column from Sarah Fisher, Brad Keselowski's tips for racing at Daytona and Kyle Busch's tribute to frontal head restraint inventor Robert Hubbard. Out every other month, the next issue of Autosport Performance will appear on June 13.